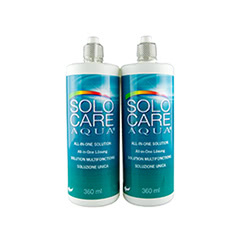 Solo Care Aqua is the multipurpose solution by CIBA Vision / Alcon, a leader in contact lenses and contact lens supplies. 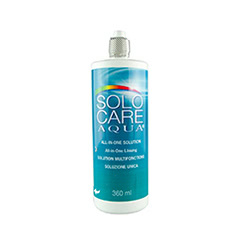 Solo Care Aqua is made with a Hydrolock formula which keeps contact lenses moist for comfort all day. As a multipurpose solution, it can be used for cleaning, rinsing and storing contact lenses. Buy CIBA Vision’s Solo Care Aqua contact lens solution online at Lenstore.co.uk for low prices and fast delivery from a trusted UK retailer.